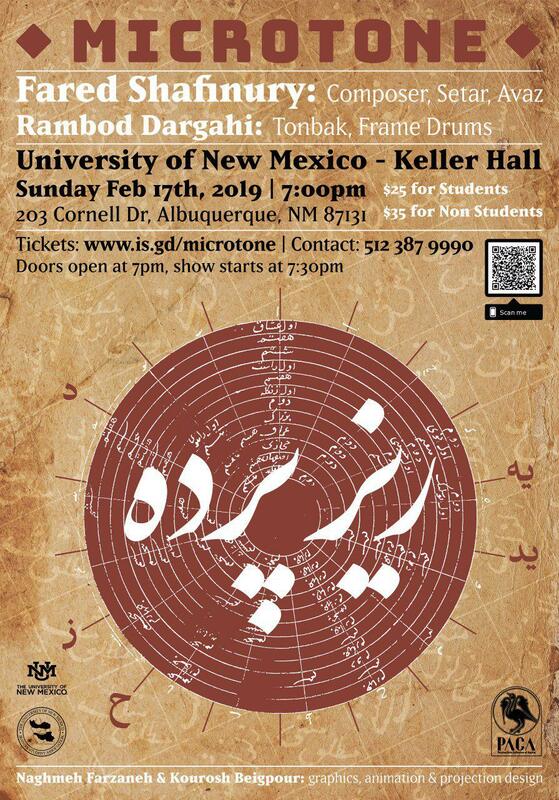 The UNM Iranian Student Association will be hosting "Microtone" for an evening filled with ​Persian music and poetry harmonized with screen display of Persian paintings. Microtone concert in Albuquerque at UNM’s Keller Hall. February 17, 2019. 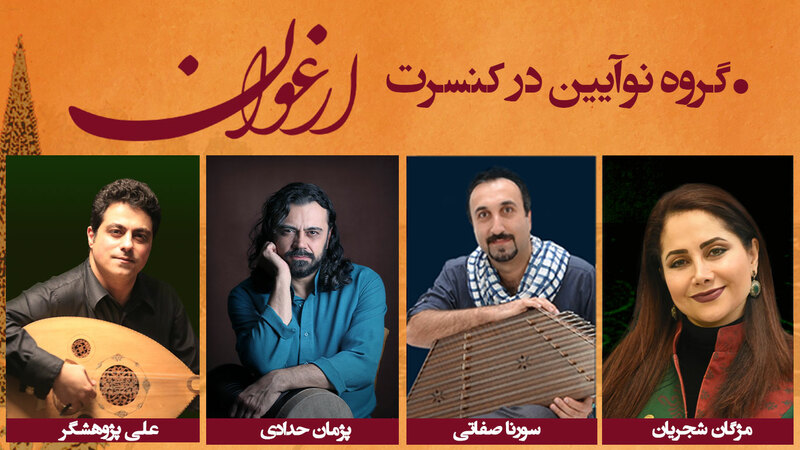 Featuring Fared Shafinury: Composer, Setar and Avaz and Rambod Dargahi: Tonbak, Frame Drums. 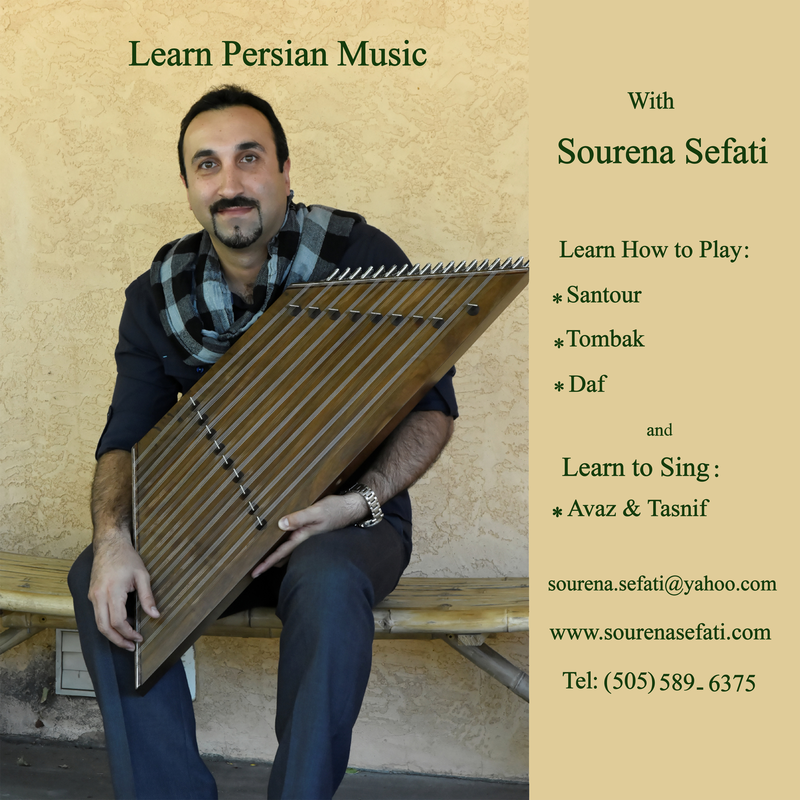 ​SFAI Equal Justice Residents, Sara Madandar and Minoosh Zomorodinia, are US-based artists from Iran. They will perform a participatory piece on May 22nd at 6:30pm at SFAI. Sara Madandar received her MFA from the University of Texas at Austin and her BA in painting from Art and Architecture Azad University of Tehran. Her work is often about the relationship of humans to their bodies and covers. Her most recent accolade was an award from the Texas Visual Artists Association (TVAA) in their 2016 exhibition in Dallas. She has also won a 2015 award, curated by Jessica Beck of the Andy Warhol museum, from the Southeastern College Art Conference. Sara’s work has been featured in three solo shows in Austin, at venues such as Co-Lab, Mom Gallery, and Courtyard Gallery. Some of her work was also featured in Austin City Hall, Elizabeth Ney Museum and Contemporary Art Center in New Orleans. Minoosh Zomorodinia is an Iranian-born interdisciplinary artist who employs video, photography, installations and performance to make visible for audiences the emotional and psychological reflections of her mind's eye in her surroundings. Her work exposes and experiments with humanity's relationship to the natural world. 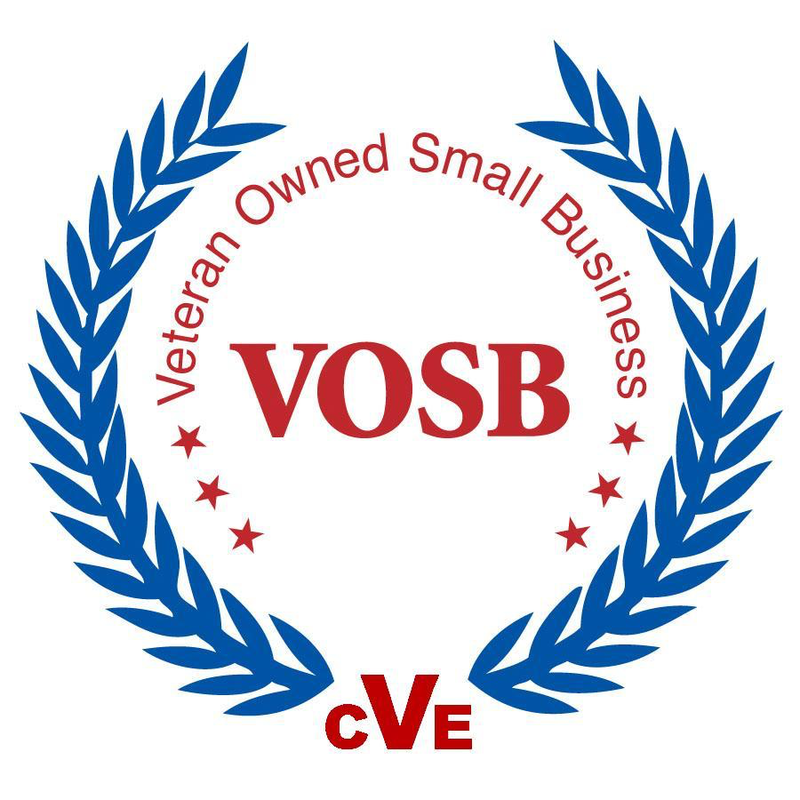 She has received several awards and residences and exhibited locally and internationally. She is currently Affiliate Artist at Headlands Center for the Arts in the Bay Area. 24 Frames - Abbas Kiarostami’s Last Movie! For what would prove to be his final film, Iranian director Abbas Kiarostami gave himself a challenge: to create a dialogue between his work as a filmmaker and his work as a photographer, bridging the two art forms to which he had dedicated his life. Setting out to reconstruct the moments immediately before and after a photograph is taken, Kiarostami selected twenty-four still images—most of them stark landscapes inhabited only by foraging birds and other wildlife—and digitally animated them into subtly evolving four-and-a-half-minute vignettes, creating a series of poignant studies in movement, perception, and time. A sustained meditation on the process of image making, 24 Frames is a graceful and elegiac farewell from one of the giants of world cinema. 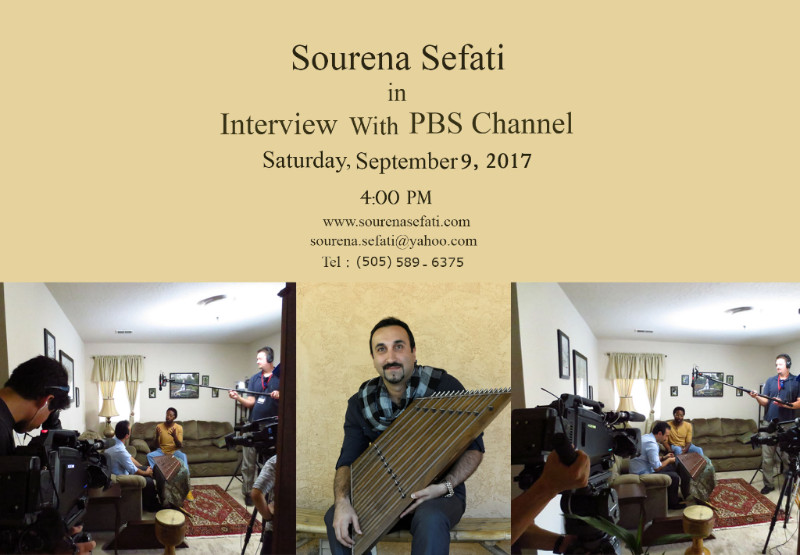 We would like to inform you that PBS channel will be broadcasting Mr. Sourena Sefati's interview on Saturday September 9, 2017 at 4.00 P.M.
Also, There will be a Concert at Global Albuquerque on Sarurday September 23, at 6:00.